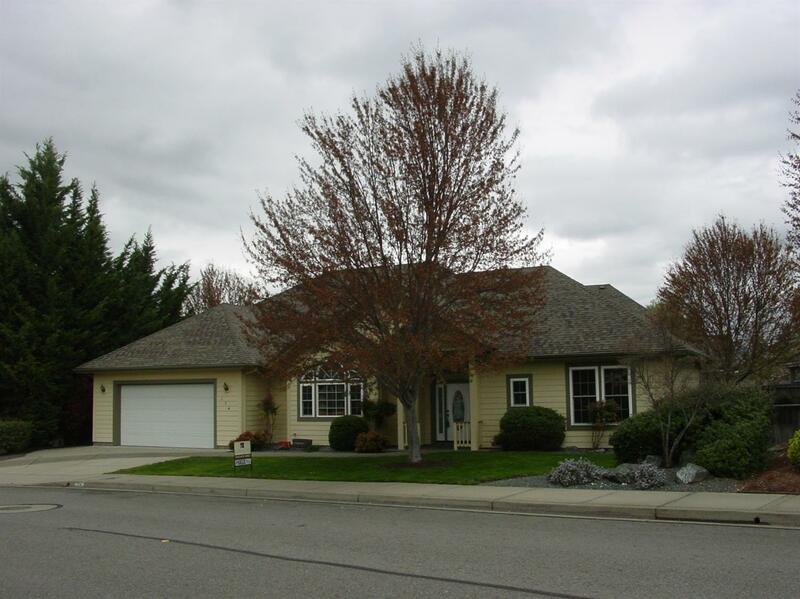 Custom Home Near Hospital and Grants Pass Golf Club. This Spacious 2169 SF home is very light and bright with many custom windows and 10' Ceilings. The home features 3 good size bedrooms, split floor plan, 2 1/2 baths, gas fireplace with built in oak glass display cases, ceiling fans and efficient Heat Pump for central Heating and Air. The Laundry room with utility sink and 1/2 bath have easy access from the garage and kitchen. The formal dining room features double french doors and access to the large covered patio that can also be accessed from the kitchen. The patio has a T&G wood ceiling and gas line for a BBQ. The grounds are professional landscaped with in ground sprinklers and drip system. This is a must see home in a wonderful well kept neighborhood. Directions: Williams Hwy to Whispering drive to Address.